This hand-painted sign was created by Susan on a piece of reclaimed cherry. Originally a part of a fine Marblehead oceanfront home, the cherry was saved for re-use. The sign can be hung or can stand. 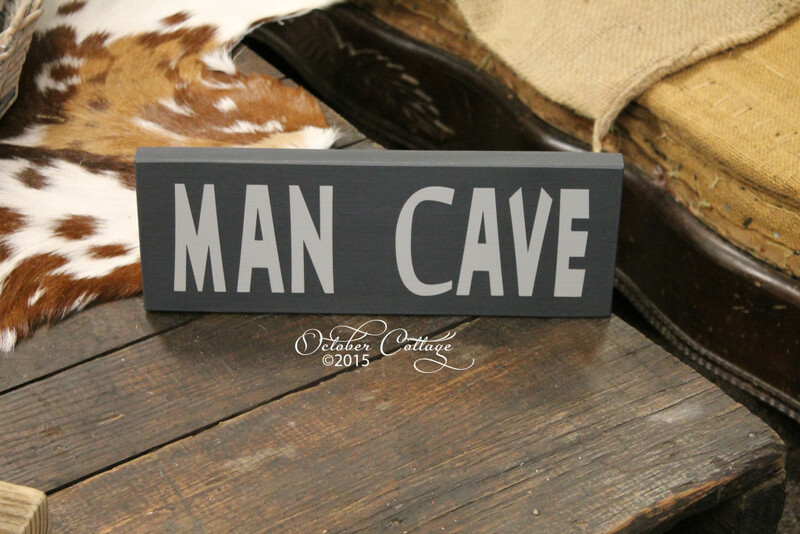 Perfect for your man, whether he has a cave or not!